Every now and then, we at The Bike-sharing Blog will get a question from a researcher on cost-benefit analysis of bike-sharing. Now we have one to share! The Washington, D.C. region competed for a Federal funding opportunity (more) for its upcoming regional bike-sharing service, unfortunately to no avail. But that doesn't mean the data ain't good! The Metropolitan Washington Council of Governments (the D.C. area's regional metropolitan planning organization) has posted the bike-sharing service's cost-benefit analysis. The analysis looks positive as the potential revenues generated by this service would far outweigh the costs. A sustainable bike-sharing service for the D.C. region, and other regions in the U.S. and abroad, looks probable. Is there no better day to start a two wheel bike-sharing revolution than on the 40th anniversary of Earth Day? 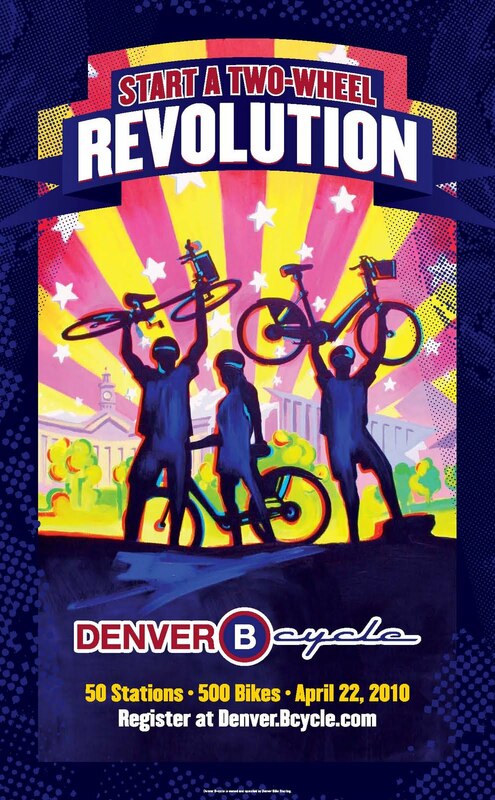 Well, Denver B-cycle is giving it a spin with the launch of the largest bike-sharing system in the United States. 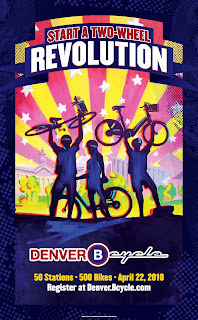 At 12 noon mountain time on Earth Day 2010, Denver, the mile high capital of Colorado, will start its new system with over 360 bikes in 40 stations. 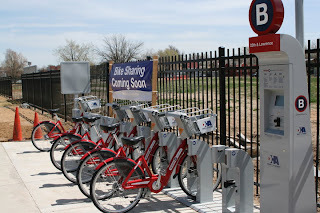 Within weeks there will be 500 bikes in 50 stations. The goal is to have a 1000 bike system in 2011. Already a large number of subscribers have signed up to use the system. The yearly subscription is $65 with student and senior discounts. There are $30 monthly, $20 weekly and $5 day fees. Annual subscribers get an RFID "B-card" which allows skipping the kiosk and swiping the card at the bike to use it. As usual, the first 30 minutes usage is at no charge, then the longer the bike is used, the more the fees. The system is easy to use, watch this video. Watch the Denver CBS4 newscast . The stations use wireless communications, but some are solely solar powered, some are hard wired for power and some are a hybrid of the two depending on the amount of light available to the station. The system is run by a non profit organization, Denver Bike Sharing. To financially help support the system, sponsorships of the bicycle baskets, the stations, and even the system are offered. The presenting sponsor of the program is the health care giant Kaiser Permanente. We all know more bicycling makes for a healthier lifestyle. B-cycle, a joint venture between Trek Bicycles, the health management company Humana, and PR firm Crispin, Porter + Bogusky, has equipped the Denver bikes with a GPS system so individual users can track the health benefits and the distance of their ride. Plus, the GPS system can keep track of the bikes' routes. Toronto, Canada just might finally get a new bike-share system. After on again - off again negotiations for over a year, the Toronto City government is close to signing an agreement with Public Bike System (PBS) of Montréal, Canada to set up a 1000 bike, 80 station program to start a year from now in May 2011. According to cyberpresse.ca, Public Bike System will pay the $4.8 million to install the system and cover the $1.3 million projected yearly operating cost. In return, PBS is asking for Toronto to guarantee the investment until usage fees and advertising revenue cover the initial cost. After that, all revenue from the system, above the operating cost, would be shared between Toronto and PBS. Also in Canada, Montréal wakes up its BIXI system from its winter hibernation earlier than originally planned. More than half of the system's stations will be operational on April 20, 2010 in anticipation of the 40th anniversary of Earth Day. This week bike-sharing began in Valence, France and announced in Valence, Spain. Libélo began service to Valence and it’s surrounding towns in the Sud Rhône-Alps part of France. 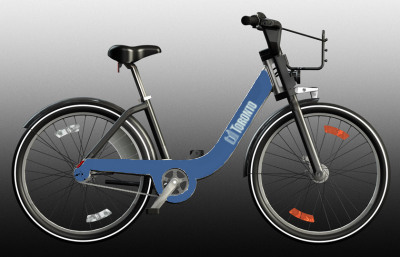 The system has two parts: Regular bike-sharing with 160 bikes in 18 stations using the Smoove “Key” system (Bike-sharing Blog September 21, 2009) where the first 30 minutes usage is at no charge. 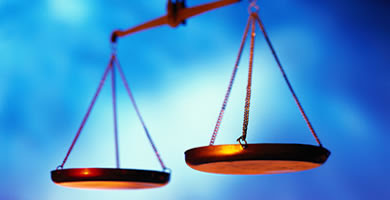 The daily rate is around US$ 1.35 and the yearly subscription is US$ 20. 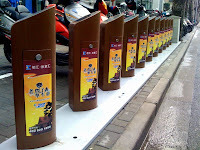 Long-term bike-sharing is available with 200 bikes which can be kept for 3 to 11 months at a charge of around US$ 15 per month. These bikes are not available at the stations. Valencia, Spain (Valence in French) signed an agreement with JCDecaux to begin a 2750 bike program with 275 stations. This Cyclocity bike-sharing system is tied to a new 20 year street furniture advertising contract with the city. This is the 5th Cyclocity system for JCDecaux in Spain. In preparation of the Shanghai Expo 2010 “Better City Better Life,” the Shanghai bike-share & bike rental system, Rent Me a Bicycle, is expanding for the May opening of the Expo. At least 40 new stations or “Bicycle Hot Spots” will be near the Expo area to service the nearly 70 million expected visitors. The bikes are accessed by a stored value RFID (radio frequency identification) card which serves as a deposit and gives 100 ride credits for around US$ 30. Very short rides, after re-docking the bike, are rewarded by adding credits to the card conversely, keeping the bike for longer periods will subtracts credits. The Shanghai Rent Me a Bicycle system plans to expand to 3500 “Bicycle Hot Spots” throughout the entire city by 2012.